In 2012 the California based company Ryan’s Recycling was established. 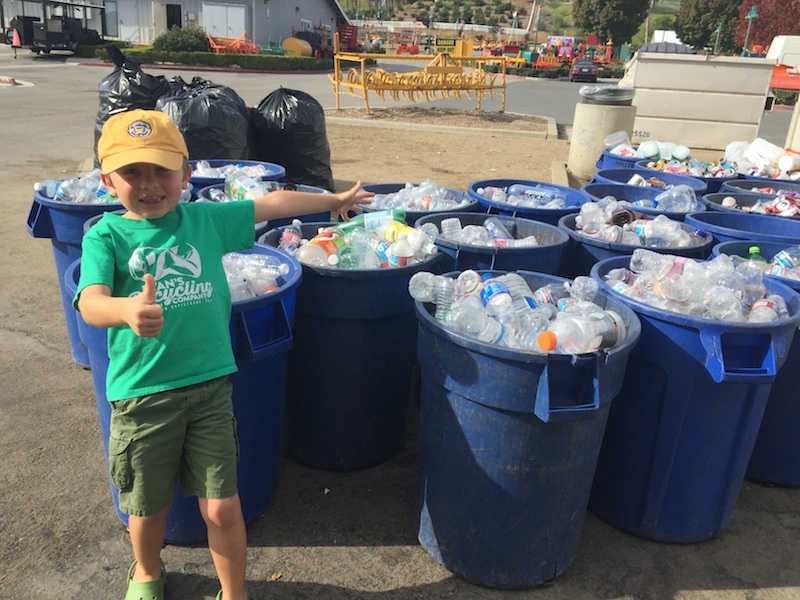 While it is not unusual for a new recycling business to be established what was very unusual about this business was the fact the Founder and CEO, Ryan Hickman, was just three years old at the time. Ryan was inspired to recycle and help the environment after a trip to the local recycling centre with his dad at the age of three. From there, he notified his parents that he wanted to provide his neighbours with plastic bags in the hope that they would use them to store their recyclable items (plastics, glass bottles and aluminium cans) and then give them back to Ryan to take to the recycling centre on a regular basis. After collecting the recyclable materials from his neighbours and new clients Ryan spends some time sorting them. He, then with the support his parents, make regular trips to the recycling centre where he is paid for the materials he brings. After starting small, Ryan has continued to grow his business to the point where he now has regular clients all over Orange County. Ryan’s successes are noteworthy. Since its establishment, the company has successfully recycled over 211,000 cans and bottles weighing over 50,000 tonnes from across his local community of San Juan Capistrano in California. The proceeds go directly into Ryan’s savings bank account. He also sells company t-shirts with all proceeds being donated to the Pacific Marine Mammal Center in Laguna Beach, California. According to the company’s website over $3,700 has been donated and Ryan also acts a Youth Ambassador for them. He has also featured on multiple TV stations and been interviewed by some world famous TV personalities including on CNN, Fox News, Good Morning America, USA Today amongst others. The YouTube video, published in January 2017, of Ryan being interviewed by Ellen DeGeneres on The Ellen Show has already been viewed over 500,000 times. The United Nations has declared a war on plastic after conservatively estimating that it results in $13 billion in financial damage to marine ecosystems per year. A recent Ellen MacArthur Foundation report entitled The New Plastics Economy: Rethinking the Future of Plastics suggests that by 2050 there could be more plastics than fish in the ocean. This equates to a loss of as much of $120 billion worth of plastic packaging each year.